Starring Ben Dickey, Alia Shawkat, Charlie Sexton, David Kallaway, Richard Linklater, Jenn Lyon, Sam Rockwell, Steve Zahn, Ritchie Montgomery, Wyatt Russell, D. Taylor Loeb, and Kris Kristofferson. 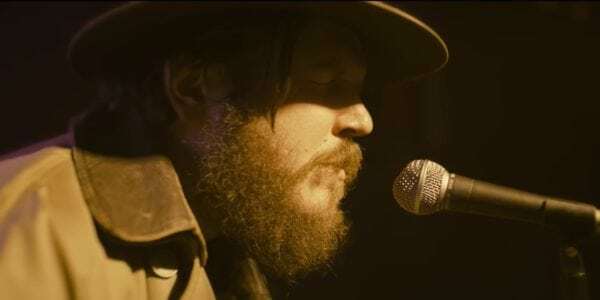 A biopic of the largely unknown country musician Blaze Foley, charting his tumultuous life, from his early marriage to his short but successful career, and his untimely death at forty. For Ethan Hawke’s fourth movie as director, he decided to tackle the life of a cult hero in country music, Blaze Foley. The songwriter’s name, let alone his story, will no doubt be new to many people. The movie is based on the book, Living in the Woods in a Tree by Blaze’s wife Sybil Rosen. Hawke and Rosen together (co-writers on the script) have crafted a tale that breaks free from the usual structure of a music biopic, and in the process, have created something rather special. Instead of following Blaze from life to death, Hawke’s movie intertwines a number of different timelines throughout its runtime. We see a young Foley as he meets his future wife Sybil; Foley on the road as his days come to an end; and Foley’s peers discussing the songwriter on a radio show after his untimely death. 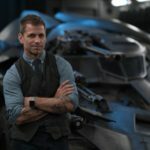 For each moment in time, Hawke and his cinematographer Steve Cosens create a unique feel, whether it’s the warm whisky haze of young love, or the colder, detached atmosphere of a sad performance in a near-empty bar. It’s simple but massively effective work. The film’s finest moments are when its two leads are on screen together. Ben Dickey puts in a star-making turn as Foley. He’s charming, playful and hilarious, but also at times angry, stupid and violent. Dickey moves effortlessly between these emotions, his huge frame one moment warm and tender, and the next intimidating. The film is no doubt helped by Rosen, whose first-hand experience will have helped shape the real humans we see on screen. 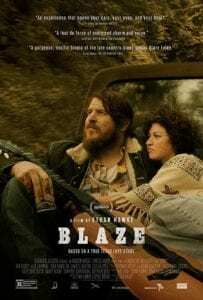 Blaze’s hard-drinking and destructive lifestyle is never glamorised, but is shown in all its sad desperation. Alia Shawkat plays Blaze’s wife, Sybil, a young actor hoping to find her way into the business. Dickey and Shawkat have natural and effortless chemistry. The young couple move in together, living a rustic life in the woods away from regular society. These scenes in their treehouse are beautifully rendered by Cosens. The cinematography mixed with the two talents on screen make for some of the most enchanting scenes all year. The importance of Shawkat here cannot be understated. She is simply stunning as Sybil. She is not merely a muse for Blaze, she will only follow him so far. Shawkat displays the conflict within with just a glance or a turn of phrase. The movie suffers in its second half as Sybil slips away from the screen, leaving the audience to watch a declining Blaze, and his painful-to-watch lifestyle instead. 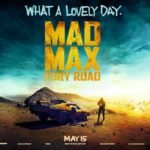 The film ultimately loses a little of its steam as it heads into its final stretch. In a year where we’ve got big money biopics of Neil Armstrong and Freddie Mercury, Hawke has chosen a man who remains a mystery to many. The unusual structure, expertly executed, allows the film to stand apart from the Hollywood standard. The talent at the centre, and the brutal honesty of the story at its heart, allows it to stand head and shoulders above.